Tionesta is turning to arts and culture tourism to kickstart its stalled economy. The Forest County village is nestled among heavily wooded forests; a quaint lighthouse stands guard over the Allegheny River, which borders the town. But financially, the town has seen better days. Once home to manufacturers like Evenflo, the baby bottle maker, Tionesta watched its economy start to tank in the 1990s as factories moved out. Then a fire took out a prominent block of the downtown in 2003. 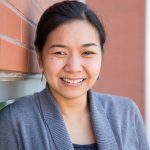 Julia McCray is the special projects consultant for Forest County’s Industrial Development Corporation (IDC). Back in 2009, she said, a consultant urged the county to pursue arts and heritage tourism. It’s a piece of economic development advice that many small towns in picturesque places have heard in recent years. 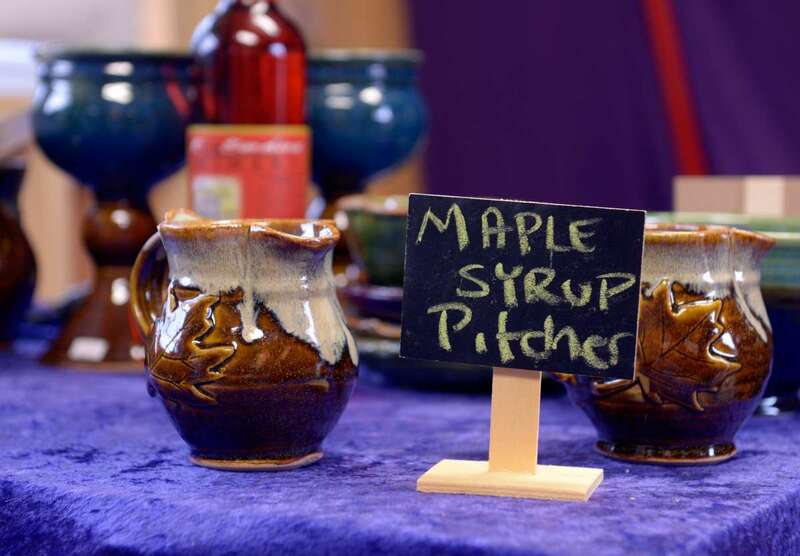 While nearby Oil City has offered incentives for artists to move there for the past eight years, Tionesta’s arts emphasis has had a more meandering path. The IDC dabbled in small-scale arts-related projects like a public art installation and community events. But the big move turned out to be the Tionesta Market Village. After the 2003 fire, one sizable downtown lot stood vacant for a decade. No investor came in to develop it. Create an outdoor market with a quaint 18th-century feel, but do it quickly and cheaply. Array 11 colorful stalls around a grassy area, with hand-tooled signs and hanging flower baskets. Mix in picnic tables, a stage and a playground. Signal you’re open for both business and whimsy with a sign declaring: Open Weekends and By Chance. The hope was that the market might serve as a business incubator; renting a stall at the market could become a way for a would-be entrepreneur to ease into retail. Then perhaps some merchants could parlay Market Village success into brick-and-mortar storefronts. And it would liven up a too-quiet downtown, which would encourage development in itself. 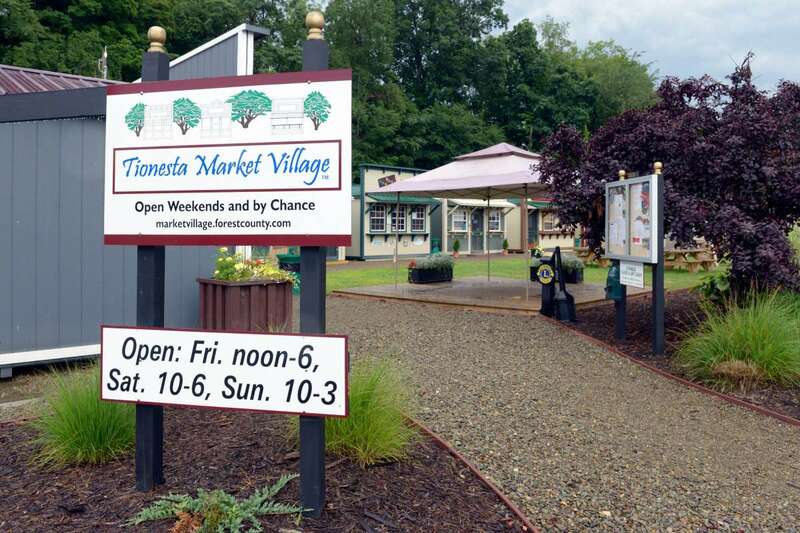 Tionesta Market Village opened last June. McCray sees signs that, as she’d hoped, the outdoor market is bolstering Tionesta’s main street. 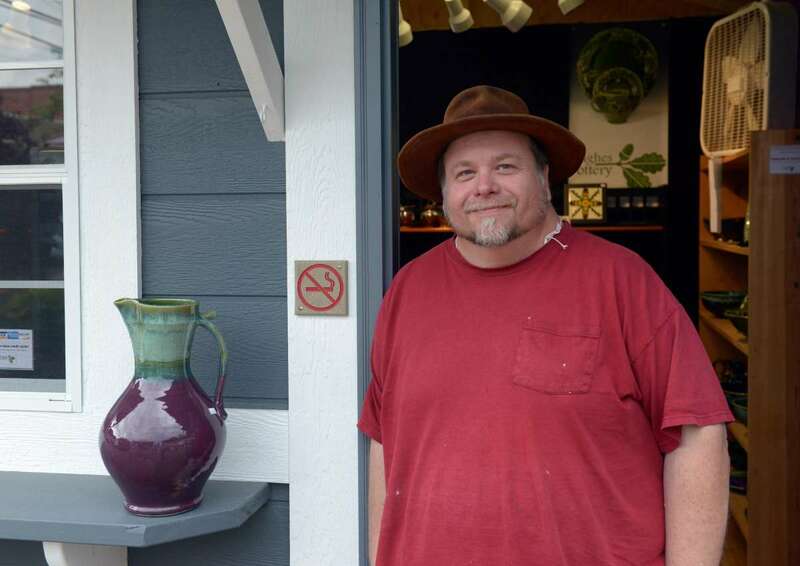 Since the Market Village opened, two storefronts that had been shuttered for around a decade have been sold to entrepreneurs and two artist couples have relocated to town, all developments McCray attributes to the market. “It’s amazing to watch this kind of stuff happen. Even though you hope that it’s going to happen, when it actually does and it happens quicker than you expected, it’s so exciting,” said McCray. The stalls (which are actually just retrofitted outdoor sheds ranging from 100 to 160 square feet) host businesses like a bakery, a winery and a gardening shop, but also stores like J&C Workshop, which sells artisan wood products and Dorothy’s Mercantile, which features handmade fabric items. When it’s open on weekends in May to October, it attracts a steady stream of the people who visit Forest County to hunt and camp. DeWayne Hilton, who owns J & D Rocks & Jewelry and rents one of the Market Village stalls, said visitors are key to economic growth. 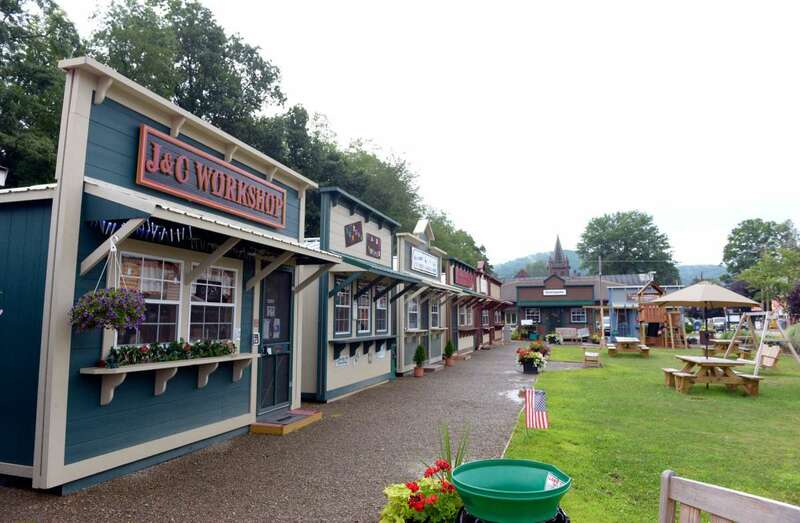 While Market Village lures visitors who’ve come to Forest County for other reasons, McCray and the Industrial Development Corporation want to expand that supply of tourists. The catalyst, they hope, will be the Allegheny Arts and Culture Corridor. This would unite Tionesta with other communities like Oil City, Warren, Kennderdell and Foxburg in jointly marketing their cultural assets as a 78 mile-long path along the Allegheny River. It’s a similar idea to the PA Wilds Artisan Trail (which covers twelve and a half counties in north-central Pennsylvania), but hones in on a smaller region. All three counties that would be involved in this effort have galleries, active arts organizations and a growing population of resident artists – and all received similar consultants advice to do more to leverage their arts and culture assets. The project is in the early stages, focusing on research and planning. It’s getting help from the Pennsylvania Downtown Center and the newly opened the Folk School at Taylor Diversion Programs, Inc. The research will be funded by a Pennsylvania Department of Community and Economic Development grant. Charles Hughes and his wife, Rowan Rose, moved to Tionesta from the State College area earlier this year. They own Hughes Pottery. They stumbled across Tionesta while checking out Oil City’s Artist Relocation Program, which offered 100 percent financing to artists through a local bank. They picked Tionesta because of a house they found, with room for a studio and views of the Allegheny River. When they visited last year, Market Village had newly opened. “We thought, ‘This is really cool.’ It’s definitely part of why we moved here,” said Hughes. He said he thinks the Market Village is a boon for the community and he likes the idea of the Arts and Culture Corridor.